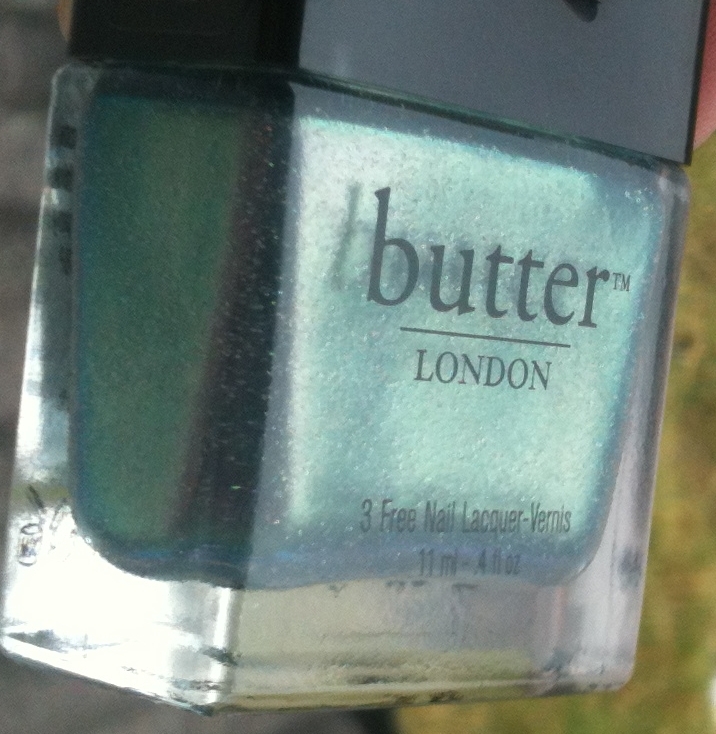 Give Me Polish: Butter London Spring/Summer 2012 swatches! Hello! =D So today I recieved a little box containing three of the new Butter London Spring/Summer polishes. Again, I don't have all of them, just the ones that appealed to me the most - Knackered, Slapper and Trout Pout. 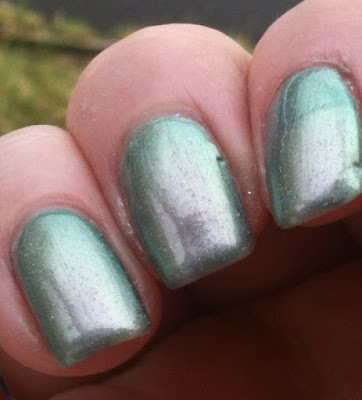 All of these polishes felt a little on the watery side to me - not too much, but enough for me to notice. Knackered is really hard to describe. 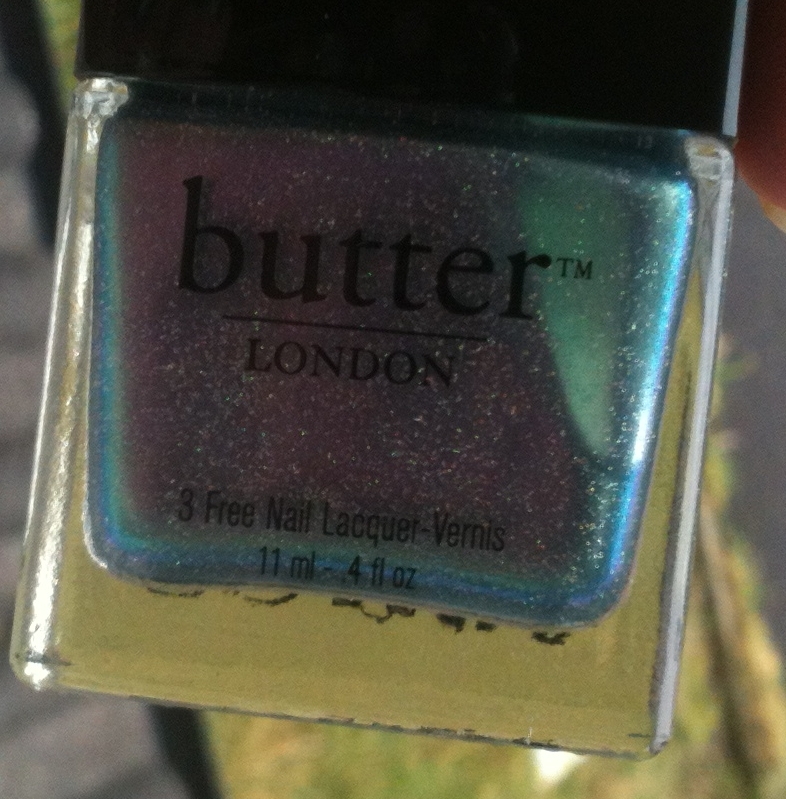 In the sun it looks like a really dirty light teal, and in the shade it has a dirty purple duochrome. It has small holographic glitter. 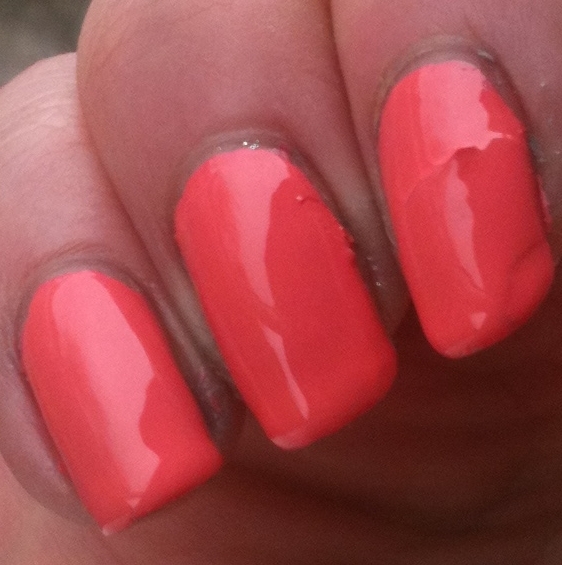 This one is quite sheer, it took me three coats for it to be opaque. 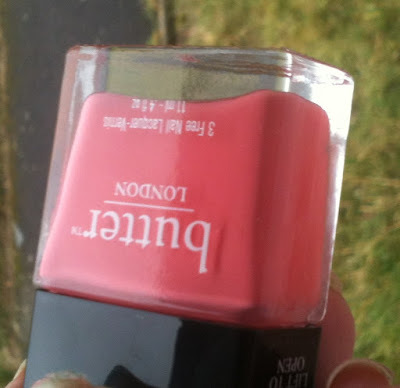 I'm interested how this would work as a layering shade, say one coat of this over black or something. I think it'd be really nice - not overpowering, it'd just give existing shades a duochrome finish with some holo glitter! Slapper is a bright vibrant midtone teal. I have a feeling this one will lean either green or blue depending on your skin tone. 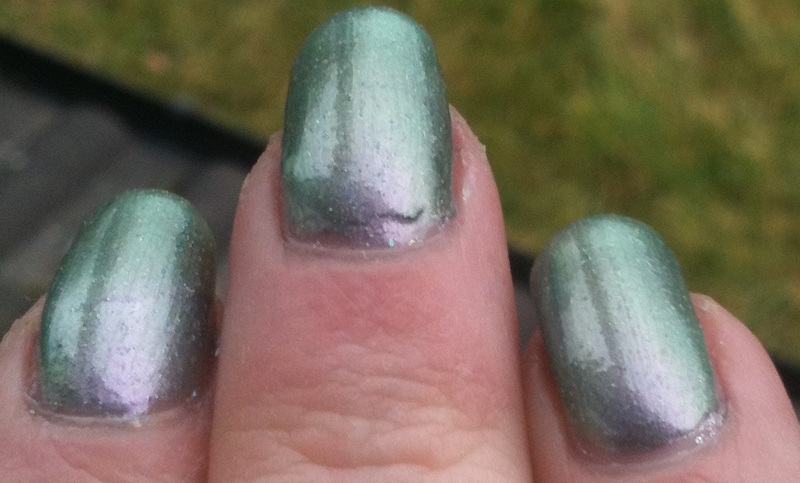 This was really close to opaque in one coat, just a tiny sheer in places. A thicker coat would sort that out though. It dries the tinyest bit darker. 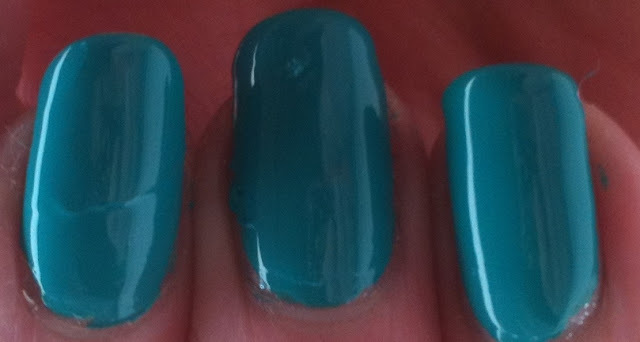 I love this, then again, I love anything teal! Trout Pout is a kind of salmon pink. 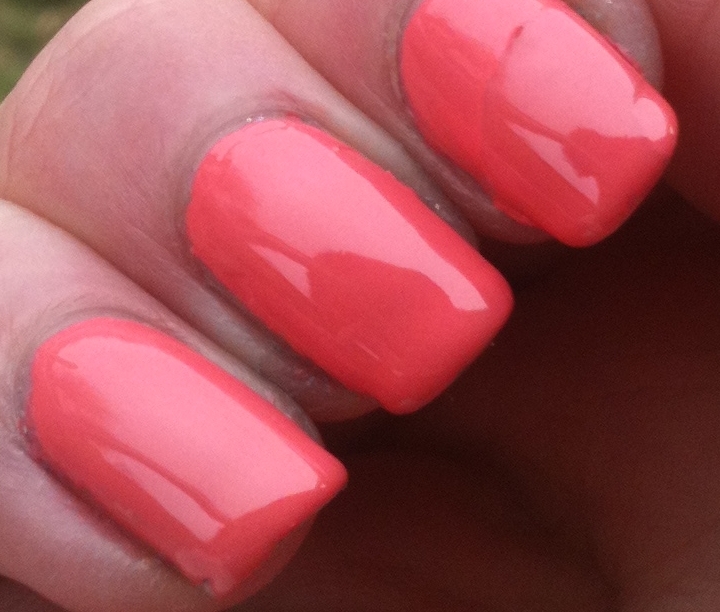 It's a bright, milky slightly yellow based pink with a touch of coral and peach. It's just...omnomnom. That's the only way to describe this. It's stunning! This was opaque with one thicker coat, otherwise two normal coats. I'm in love with this, seriously. It's just amazing! Slapper and Trout Pout are serious stand out shades for me. They're properly gorgeous. Knackered would make a good layering shade which I'm gonna have to try out!